Only piece of advice. Plot everything and understand your data. Response variable –this is what we want to model as y. Or customize it by discretizing one of the variables (e.g. cut(z)) and fit lines for the two/three levels of z using the coefficients. Also, if you have NA values, use na.exclude, not na.omit in the model, to add NA’s to the residuals. 4) How? By understanding the output, tricky specially when covariate is a factor. 6) Until now we wanted to see if there were differences among levels of A. 9) But what if residuals are bad? The ref is Cleasby IR, Nakagawa S. 2011. Neglected biological patterns in the residuals. Behavioral Ecology and Sociobiology, 65(12), 2361-2372.
note that lm can not use the weights option, but I think, but you can use gls, instead. 10) Is also recomended to center scale(x, scale = FALSE) or scale scale(x) predictors. Reference: Schielzeth, H. (2010), Simple means to improve the interpretability of regression coefficients. Methods in Ecology and Evolution, 1: 103–113. Based in Nakagawa, S., Schielzeth, H. (2013), A general and simple method for obtaining R2 from generalized linear mixed-effects models. 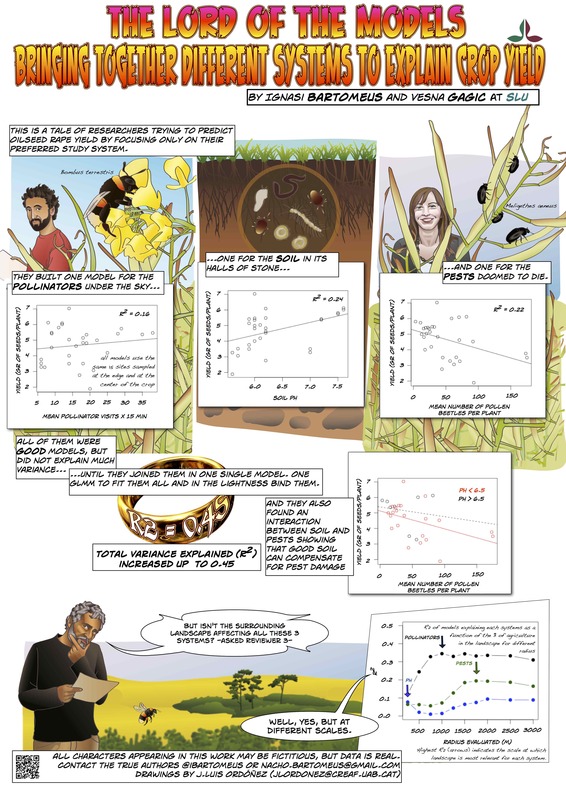 Methods in Ecology and Evolution, 4: 133–142. For GLMM’s (generalized) there is a whole new set of tricky things, maybe will be another gist.